Last week I blogged about my desire find a house with a library (preferably one behind a hidden door), where I could pander to my love of reading and store my ever-expanding collection of books. I’ll cheerfully admit that my reach definitely exceeds my grasp on this one. House with libraries tend to come with wings and servants and other items that I can’t really afford, no matter how much I want them. I have lavishly-illustrated coffee-table book tastes on a mass-market paperback budget, sadly, so I need to look at other options for indulging booklovers’ desires. Instead of insisting on a full library, you could always just get really creative with where I put my bookshelves or invest in some bookshelves that double as decoration, as some places have done. Or you could pick up a spectacular piece of book art, such as Brian Dettmer‘s intricate and amazing creations, made from out-of date encyclopedias, medical journals, illustration books and dictionaries. He uses knives, tweezers and surgical tools to cut, carve and shape these old books into three-dimensional works of art. Nothing inside is relocated or implanted as he manipulates the books to forms sculptures that reveal and revel in the books’ contents and their breath-taking complexity of illustration. His work isn’t cheap but if you did find between $3,800 to $32,000USD down the back of the sofa, you could be the proud owner of one of these pieces. 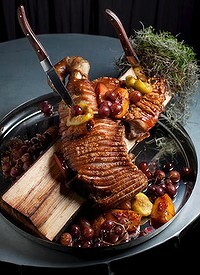 If you want to go the whole hog*, but don’t want to spend a king’s ransom**, you could always indulge your love of books with a culinary adventure, such as Gastro Park’s Game Of Thrones’ feast. Inspired by the TV adaptation of George R R Martin’s infamously bloody series, this fantasy-fueled banquet will set you back a pricey but affordable $100. Much like the books, the meal is not for those scared of a bit of gore. 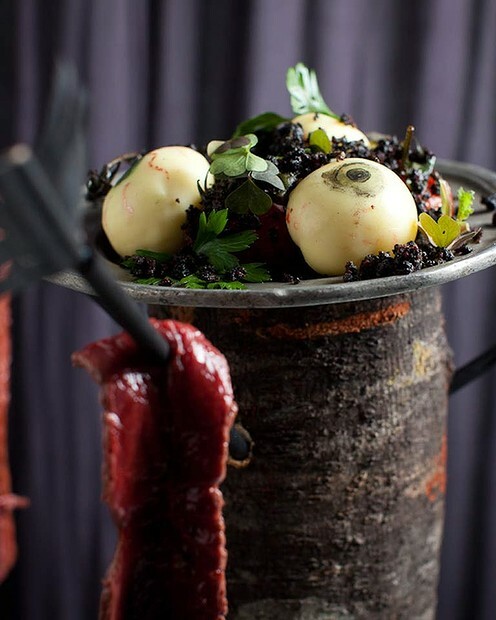 The feast opens with bloody strips of raw venison, pinned by arrows and garnished with eyeballs and dirt. That grisly appetizer is followed by charred raven’s feet in broth, then a huge portion of crispy suckling pig (complete with a large knife for back-stabbing), and then the dessert; a glistening dragon’s egg, served on a bed of snow and sand and topped with a generous pouring of pure liquid gold. It’s a feast fit for a king (or, in the case of the liquid gold, for someone who believes they are one). And considerably more delicious than it sounds; the eyeballs in dirt are liquid mozzarella served on tapenade, for example, and the raven’s feet are piquillo peppers in a black squid-ink batter. The spectacular dessert is a work of delicious fiction; some smashing reveals the “dragon’s egg” to be a spray-painted chocolate shell encasing a liquid passionfruit and vanilla centre. And the liquid gold, deployed to such a devastating effect in the books, is a far more feast-friendly orange curd. As for this bibliophile? I’m still looking. I have found one ideal home; a lovely and spacious house where one room has walls completely covered in bookshelves. It was love at first sight. I’m just hoping that love will get the hint and send the several hundred thousand through extra to me I need to purchase this place. If anyone wants me, I’ll be looking down the back of the sofa. *The whole hog is, of course, the suckling pig. **Okay, there’s just no excuse for this much pun.